The match is being held on the first of two mourning days on the Shia Islam calendar. South Korea will wear black armbands as a sign of respect for the hosts. Some clergymen have said it would be better for Iran to forfeit the game, but it has been decided mourning will take place at the 100,000-seat stadium. Meanwhile, Iranian officials have complained after the captain of South Korea likened Tehran to a big prison. Swansea midfielder Ki Sung-yueng also said some Iranian fans threw bottles and other missiles at his team-mates when they arrived in Tehran wearing air pollution face masks. 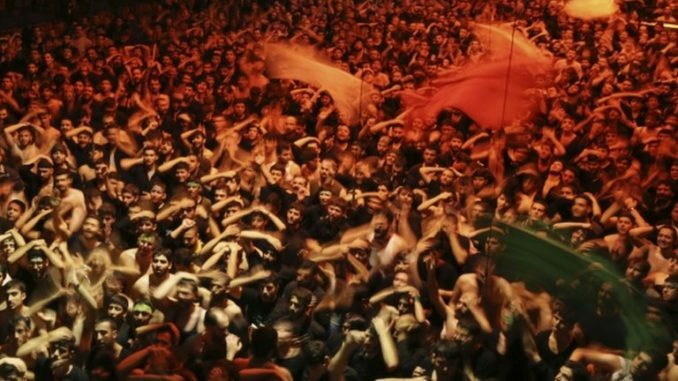 Tuesday is Tasu’a, when Shia Muslims mourn the start of a battle that ended the next day (Ashura), when Imam Hussein – an important figure in the religion – was martyred in the battle of Karbala, in today’s southern Iraq. Seventy two of his followers and members of his family also perished. On these two days, men in Iran gather in long processions beating their chests to the rhythm of a drum. Some may even flagellate their backs with chains. Crowds come out on the streets to watch them. Clergymen sit on raised platforms in mosques recalling the historical event that is eulogised as the martyrdom of Imam Hussein. Radio and television channels only play sombre mourning music. Cinemas and theatres are closed, as are government offices and shops.